This is a really clear explanation of the difference between liberals and socialists -- and he mentions conservatives too. Read it. The most distinctive thing about socialism is its attitude toward capitalism and specifically to the relationship between employers and employees upon which capitalism is based. As socialists see it, the employer/employee relationship is fundamentally exploitative. The employee must take a job working for an employer to earn a living in a very literal sense–if the employee doesn't do this, the employee won't have enough money to live on. Because the employee needs a job, the employee is at a disadvantage when negotiating terms of employment with the employer. The employer can hire any particular employee, and because of this the employer can play the employees off each other, hiring the one who is willing to work for the cheapest wage. This negotiating advantage enables employers to hire employees for wages which are significantly lower than the value of the work employees generate, and the employer is able to keep that "surplus" and use it to reinvest in the business. In this way, capitalist growth is dependent upon the ability of the employers to continuously extract surplus from employees. 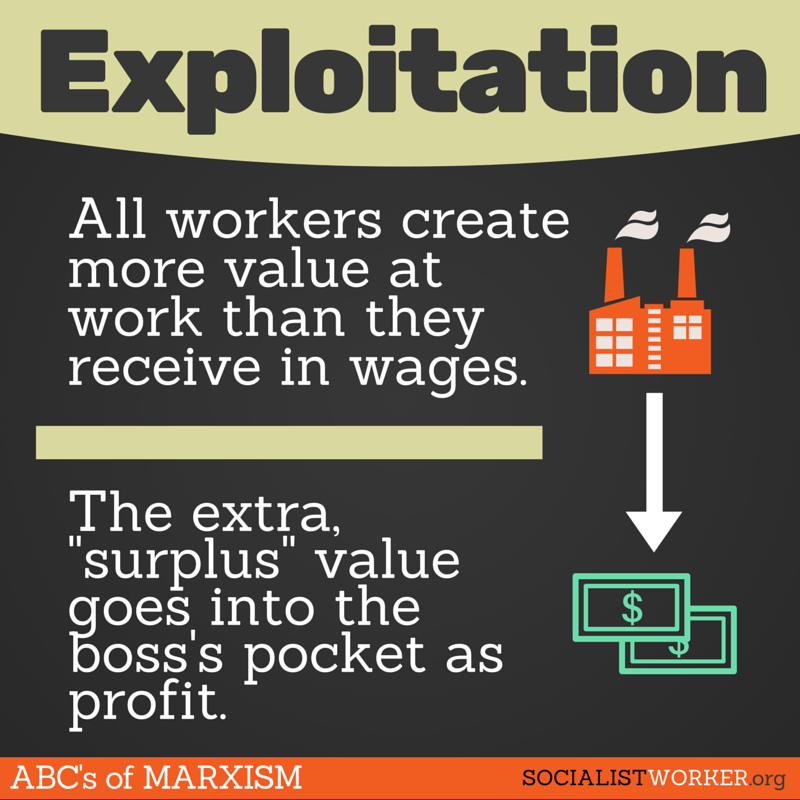 Socialists view this surplus extraction as exploitation and as a form of theft. They want to put an end to it. There is disagreement about what precisely this end looks like. Some socialists think that employees should collectively own and operate businesses themselves, retaining market competition among different co-operatives. Some socialists think that the state should own and operate businesses on behalf of the people. Some socialists think that the employer-employee relationship can only be killed when automation makes our economy so productive that it no longer makes sense to hire many humans as employees. Socialists also disagree about how this end is achieved politically. Some of them think it can be brought about democratically. Some of them think it requires some sort of revolution. Some of them think it requires a significant level of technological development. The thing they all have in common is that they think it would be a good thing to put an end to the employer-employee relationship and the exploitation it creates, and they hope some day to do that by some means. The ones who run for office in American politics tend to be "democratic socialists", i.e. people who think that exploitation can one day be abolished by democratic, electoral means. Liberals have a different attitude to capitalism and to the employer-employee relationship. For liberals, the employer-employee relationship is one the employee freely participates in. Liberals think that the employer-employee relationship is grounded on a contract freely signed by free individuals. Many of them don't think it matters very much that the employer has a lot more negotiating power than the employee. Historically, there are some liberals who have nonetheless recognised that giving workers more bargaining power has a variety of good consequences for the economy–it promotes higher growth rates, it helps to legitimate and sustain the capitalist order, and if governments deny workers this bargaining power and allow exploitation to proceed unchecked, there will be unrest, low growth, and the threat of populist authoritarianism. Liberals care deeply about individual freedom, and so even if they are not themselves opposed to the employer-employee relationship which lies at the heart of capitalism, they have sometimes in the past been willing to make an effort to moderate that relationship and level to some degree the field of play between employer and employee. These liberals who take an interest in making capitalism fairer and more sustainable without abolishing it can be regarded as "social liberals", "social democrats", "Keynesian liberals", or "postwar liberals", among other names. In America, the Democratic Party never belonged to the socialists. The New Deal and Great Society Democrats of the 30s, 40s, 50s, 60s, and early 70s were postwar liberals of this type. They were for capitalism, but they believed capitalism needed to make concessions to employees to function well and sustain itself. There is another group of liberals which is more cavalier in its attitude and more committed to following principles of individual liberty even when these result in a very poor bargaining position for employees. These liberals think the economy grows better when employees are weak and employers are strong. They don't worry about legitimating the capitalist order–they consider it natural and self-sustaining. We saw this kind of liberalism before Franklin Roosevelt, in the 1920s. We also saw it in both the Democratic and Republican parties beginning in the late 70s and continuing through to recent times. We call the older version of these the "classical liberals" and the more recent revival the "neoliberals". 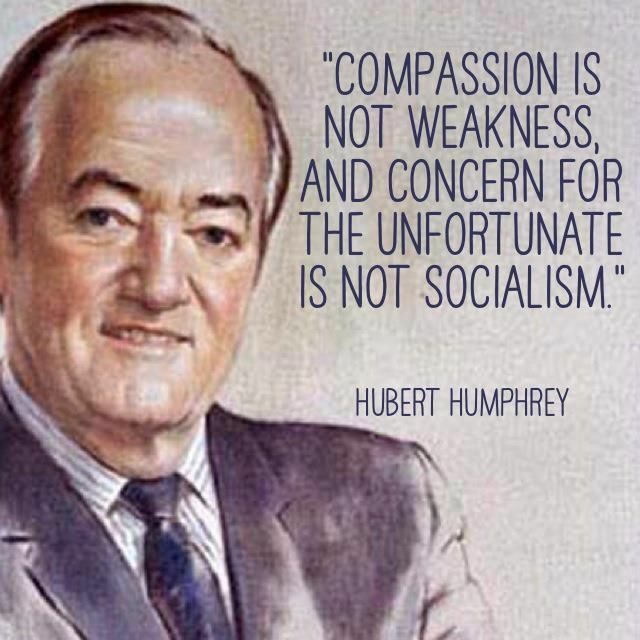 In America today, economic conservatives are neoliberals in this sense. This is why people often feel that Democrats and Republicans are all the same once you get beneath the surface. Since the late 70s, they largely have been the same, because they have both been dominated by liberals who take capitalism as natural and self-sustaining and who don't fuss too much about protecting the bargaining position of employees. The major difference between the two parties in recent decades has been their attitude toward discrimination. Neoliberal Democrats are concerned that the employers are too white and male and straight. Neoliberal Republicans aren't so worried about that. Socialists and postwar liberals would share the neoliberal Democrats' concern about discrimination, but for them this wouldn't be enough. Both socialists and postwar liberals want to alleviate exploitation, with the socialists hoping to one day eliminate it and the postwar liberals hoping to render it more tolerable and sustainable. On day to day policy, a socialist and a postwar liberal can look pretty similar–both will support policies which strengthen employees' bargaining positions. The difference is that if you give the socialist a chance to abolish the employer-employee relationship entirely, the socialist will take it. The postwar liberal will not. Before , there was an American party system in which one party, the Republicans, was primarily responsive to white-collar constituencies and in which another, the Democrats, was primarily responsive to blue collar constituencies. After , there were two parties each responsive to quite different white-collar coalitions, while the old blue-collar majority within the Democratic party was forced to try to squeeze back into the party once identified predominantly with its needs. Without postwar liberals to stick up for worker bargaining power, stagnation in living standards for millions of Americans has opened up a space for socialism in American politics. If the Democrats were to return to postwar liberalism, they could close that space. But because they have drifted into neoliberalism, they are no longer capable of recognising the need to make the employer-employee relationship tolerable. This means that socialists may have an opportunity they have long been denied in American politics–the opportunity to take over and run one of the two parties. This has been Bernie Sanders' aim. But eliminating the employer-employee relationship wholesale is a difficult political project. For the foreseeable future, socialists in elected office will govern a lot like postwar liberals. The key difference is that their long-term goals are more ambitious. For this reason, I classify both socialists and postwar liberals as "left" and as "left egalitarian". They would push the same kinds of policies in the medium-term. But it is important to remember that the postwar liberal is still a liberal, and when push comes to shove that will show. Postwar liberalism was liberalism's compromise with socialism–it was not an abandonment of liberalism outright. I then classify the party establishments from the 70s, 80s, 90s, 00s, and 10s of both the Democrats and Republicans as "neoliberal". Finally, there is the newly emergent group on the right, which promises to help workers get a better deal not by increasing their bargaining power vis-a-vis their employers but by targeting immigrants, minorities, and foreigners. I call these people "right nationalist". Yes, there is a Difference Between a Democrat and a SocialistIn "Politics"
Universal Basic Income Isn't About Now--It's About LaterIn "Politics"
The Supreme Court is Gripped by an Unsustainable Conception of Individual FreedomIn "Politics"